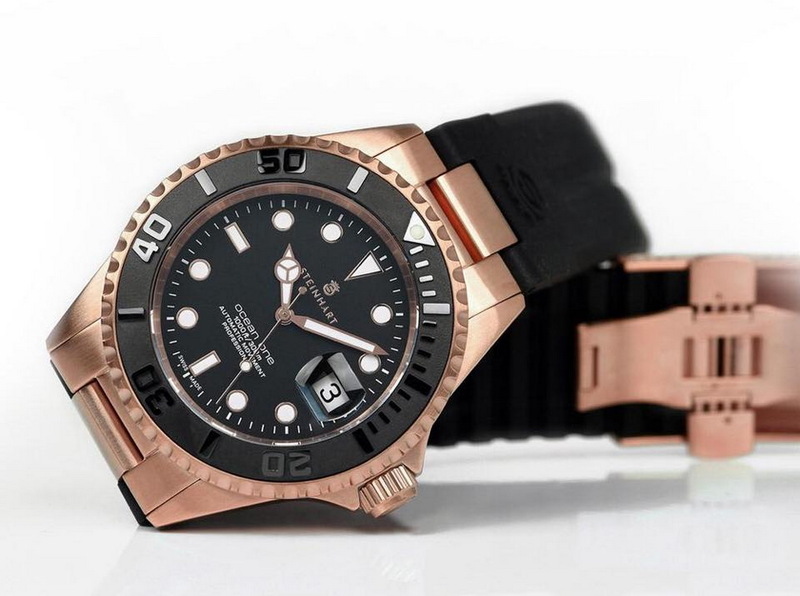 Get your bling on with the latest Ocean One, now available with a tasteful 316L Stainless steel Pink Gold coated satin and polished case. Basic spec. includes: an ETA 2824-2 Elaboré grade automatic movement, Sapphire crystal, 300 meters of water-resistance and BGW9 lume. MSRP is 480. Follow the link embedded, below for more on this and other divers models form STEINHART.